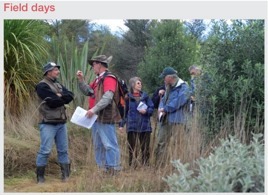 Howard Moore, New Zealand Tree Grower February 2014. 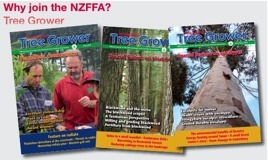 In 1975 Wink Sutton published his doctoral thesis on global wood supply, which helped confirm him as one of the most far-sighted researchers in New Zealand forestry. I do not have a copy, but one of his papers from 1986 re-states his basic argument. Wink noted that while there were plenty of forests around the world, the global costs of harvest would rise because the easy woodland had been cut. The remaining exploitable forests were both less accessible and less productive. Therefore rising prices means more profit for New Zealand growers. However, we have not had consistently higher prices, because over the last 40 years a wide range of unrelated factors have acted, singly or together, against them such as recently rapidly increasing populations of pine bark beetles and the 2008 global financial crisis. Wink’s understanding was right but his conclusion was wrong. My feeling is the world is more uncertain than he realised. In May 2012 I wrote a paper looking at log prices in 30 years time. Taking into account global trends such as urbanisation in China, energy costs and new technologies, I concluded that average log prices would stay relatively flat because rising prices would stimulate productivity gains which would outstrip price increases. They always have, in every industry. I suggested that within 20 years companies would start using short rotation fibre. In addition, when we harvested our trees in 30 years we would compete head on with this new wood in markets where it had already become dominant – even though these new, short rotation trees have yet to be developed. Of course I think my understanding is right but my conclusions, like Wink’s, will certainly be wrong. The trends I described are not inevitable, and their interactions are not predictable. The world is too uncertain. It is chaos out there. The only way to have any chance of being right is to act like an economist and make so many predictions that a few are bound to be winners. Here are a half dozen more threats which I think will constrain grower returns over the next 15 years. In 2013 in Nature Camilo Mora said, ‘Within my generation, whatever climate we were used to will be a thing of the past.’ Hotter weather leads to more fires. In 2010 Russian wildfires burned 1.2 million hectares of forests, destroyed a third of the grain crop and caused economic losses estimated at up to US $300 billion. Unconfirmed reports suggest that in 2012 the Russian fires were 10 times as severe. The same year, the US Forest Service lost 3.6 million hectares to wildfires and scientists expect annual losses to rise to 5.6 million hectares. If this includes private and state forests, it implies annual losses of 2.5 to 3.0 per cent of the entire United States forests. Our equivalent would be to burn an area larger than Kaingaroa each year. As I began to write this in October, with mid-summer still three months away, 94 fires are already burning around Sydney where, according to Nature, within 25 years average temperatures will be completely outside their historical ranges. As a result of increased fire risk, forest management costs will rise, insurance will be withdrawn, new investment will dry up, new planting will reduce and globally forests will shrink. As costs rise, salvaged timber will be cut and sold in an attempt to recover lost value, a common practice with wind and pest damage. My pick is that over the next 15 years timber losses to fire will be offset by overcutting the remaining forests, while in the longer term forests will be harvested on shorter rotations in an attempt to beat the odds. As forest owners adapt to the new conditions they will try to sell a changing mix of log grades and species, and in order to protect their margins against variable log supplies, processors will resist paying higher prices. Experts argue how and why weather patterns are changing, but the consensus is that patterns are changing and the economic effect of storms is rising. Over the last 45 years New Zealand has experienced the Wahine storm in 1968, the Canterbury windthrows of 1975, Cyclone Bola in 1988 and the Rangitikei weather bomb in 2004, all of which did serious damage to forests. Such events will recur – the argument is how often. In 1975 winds of 195 kilometres an hour flattened 2.5 million tonnes of timber in Canterbury, roughly 10 per cent of New Zealand’s annual cut. The Canterbury storm last September felled another million tonnes. Although in 1975 salvaged logs were stored and sawn for many years afterwards, this was unusual. In order to clear damaged trees and prevent timber from rotting, salvaged logs are usually sawn or exported quickly. This encourages a buyer’s market and does nothing for log prices. The mountain pine beetle epidemic which started in British Columbia in the early 1990s has crossed into Alberta and is moving east. It already affects over 17 million hectares of Canadian forests. The government quickly encouraged industry to mill and export the dead and dying trees which created economic benefits, but now they have a hole in the log supply after 2016. In the United States the beetle now affects 19 western states where it has attacked 35 million hectares, twice the area of forest it has in Canada, from Idaho in the north to Arizona in the south and with a 70 to 90 per cent kill rate. of course between 1946 and 1951 sirex wood wasps killed around 30 per cent of the radiata in the central North Island forests. Sirex is still with us, and although now controlled by parasites, it may kill trees in poorly managed stands in dry years. The mountain pine beetle, if it escaped here, might do much worse. Dead and dying trees as noted above do nothing for log prices. Changing patterns of consumption, population growth, drought and in the United States, demand for biofuels affect patterns of food production and trade. As a result farmland values across the globe between 2002 and 2010 have risen up to 1,800 per cent, according to the Global Farmland Index compiled by UK-based real estate firm Savil. As land prices rise, less productive forests are cleared for food production and fewer new forests are planted. At the same time those people obliged to hold forest land which is rising in value react by attempting to shorten their forest rotations to preserve their notional return on investment. Our farmland prices are already so high that forests are being cleared on easier land, while hill country plantings for erosion control have to be encouraged with subsidies. New commercial planting of any forest is increasingly rare as returns are poor, costs are rising, weather patterns are uncertain, and regulation is an increasing headache. High land prices increase set-up costs and discourage investment but do nothing to reduce risk. The Emissions Trading Scheme, which offers carbon credits for new forests on reverting farmland, may be simply a government bid for the owner’s land use rights. Why should any landowner growing a forest sell their right to convert it back to pasture, given an uncertain future for forestry and a rising market for farmland? As land prices rise and local body rates increase, forest owners are being tempted to cut their trees and sell their land for capital gain. Opportunistic responses to rising land prices will depress log prices. Processors will find log supplies becoming more unpredictable in volume, quality and timing, making their own profitability less certain and discouraging an increase in log prices. Not long ago Egypt was a shipping hub for sawn timber throughout the Middle East, but recent political chaos has shut down most of the traders. European sawmills that used to send entire break-bulk vessels to Egypt are now directing their timber to China. In Russia, the government is actively discouraging log exports to support domestic log processing and reduce illegal logging. Their supplies to China have fallen as a result. In September, Indonesia signed a voluntary partnership agreement with the European Union which is expected to reduce illegal logging in Indonesia, estimated at between 70 and 90 per cent of all harvesting. This should help their exports to the European Union. Our log prices are directly affected by turmoil in Egypt, politics in Russia and illegal logging in Indonesia. They may also be affected by the pressures arising from North African refugees fleeing to Italy, Iran’s nuclear capability, China’s introduction of carbon trading, and budget deficits in the United States which split the Republican party and threaten the US dollar. As uncertainty rises, markets become nervous and log prices go sideways. Here in New Zealand logging costs will continue to rise, partly due to the rising cost of equipment, fuel and labour, and partly to increasing regulation such as the Resource Management Act, health and safety, and district plans. Some of it is due to geography. Future Forests Research reports that hauler country of over 20 degrees slope ‘is currently 44 per cent of the total harvest. This is forecast to rise to 53 per cent by 2016 and to over 60 per cent by 2025. Nationally over the next 12 years to 2025 there is a requirement for a new cable harvesting crew every four weeks’. The threat of rising costs and scarce crews makes growers worry about the best time to sell, and unfortunately the system is not elastic. If an increase in log prices caused a rush to sell, harvesting bottlenecks and delays are likely to prevent many growers from taking advantage of it. Average log prices become more important than fluctuations in the market. Most of these risks are outside the control of any one grower and are uninsurable. One way for smaller growers to mitigate some of them is to join together with their neighbours and act as a group. In general, groups are more resilient than individuals. It is not hard to develop a group fire plan, perhaps a group support plan for storm damage, and a combined approach to roading, harvesting and resource consents. Orderly marketing is more difficult, but it can be done. Given the chaos out there, order and resilience may be your best strategy. Howard Moore is a member of the Wellington branch and specialises in business development, particularly the use of forests and forest values as financial assets.